The Paolo Feather Grey Velvet Double Bed has been created with your comfort in mind to provide a deep, restful night sleep. The velvet upholstery adds a softer homely touch while still giving your room a modern and designer feel. The Paolo doesn't have any storage space, however, you will be able to store some smaller, flatter items underneath the frame. This is ideal if you don't need a bed with extra storage and want to focus more on the look and feel of the bed frame. The back of the headboard is flat with shallow wings that wrap to the side. Both the headboard and wings are trimmed with a piped detailing. The wings add more of a luxurious feel, which combined smooth velvet upholstery, gives this bed a designer, modern luxe look. 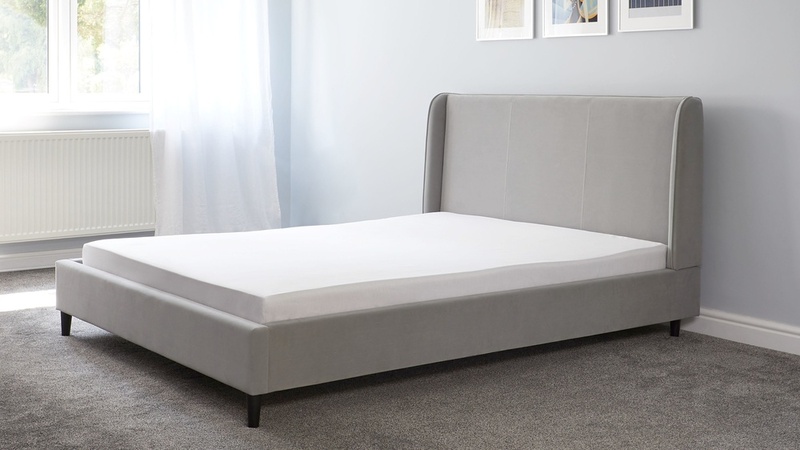 This double bed has an adjustable centre leg which is hidden out of view but works to support your mattress. This clever but discrete feature helps with the longevity and general support of the bed frame. The feather grey velvet colourway is a lighter type of grey, making it easier to style in a range of interiors. And because the velvet has a pile, it naturally reflects the light, helping to add a lighter look and feel in your bedroom. 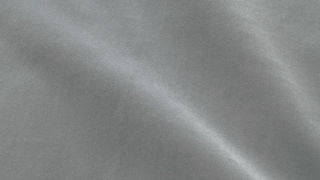 The short pile polyester velvet has a softer, matt appearance, similar to that of a cotton velvet. This means you get the soft look and texture of velvet without too much of a sheen. This type of finish is a really easy but stylish way to introduce velvet upholstery in your home. The Paolo double bed is also available in king and super king sizes if you need something bigger to fit your space. 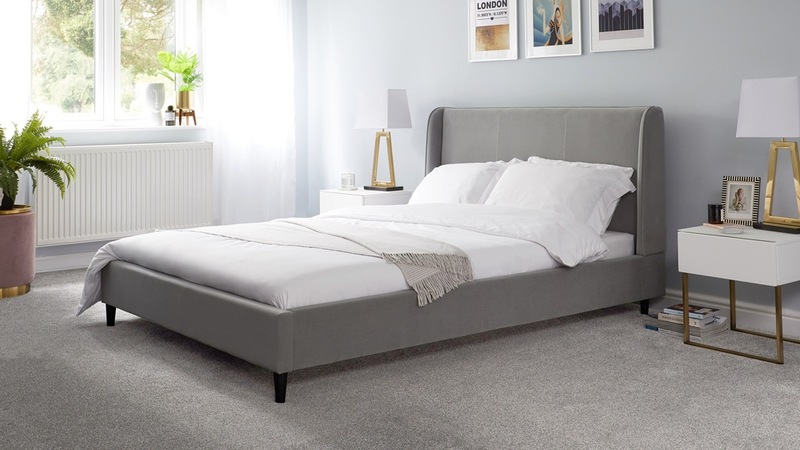 The Paolo has a slim, streamlined bedframe with subtle details and features that make it a great choice for your home, especially at this price point. For example, the frame of the Paolo also has an adjustable centre leg. It’s hidden out of view but works to support your mattress. 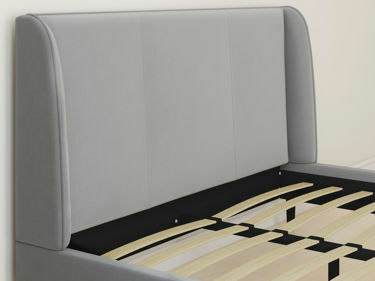 This clever but discrete feature helps with the longevity and general support of the bed frame. 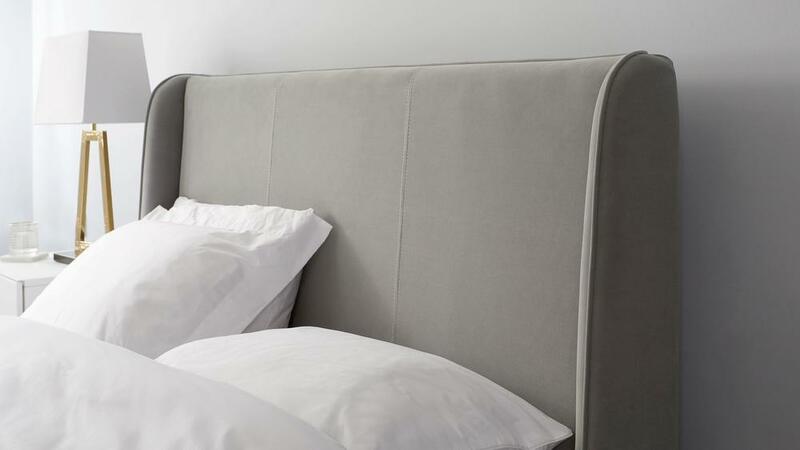 When it comes to styling, the shallow wings of the headboard combined with the smooth velvet upholstery and trimmed pipe detailing give this bed a subtle, modern luxe vibe.